It was during a one-week visit to Darwin in 2006, visiting the grand landscapes of Litchfield and Kakadu National Parks, that Beau’s interest in landscape photography was put into motion. Shortly after that trip Beau acquired his first DSLR and began passionately learning as much as he could about photography and obsessively adding to his portfolio. As a completely self taught photographer, over the years Beau has developed his own distinct style of photograph; that of strong composition, vibrant colour and deep contrast. Currently based in Perth, Western Australia, but having also spent time living on Queensland’s Gold Coast, has allowed Beau the opportunity to travel extensively to a diverse range of locations around the country. From the lush sub-tropical rain forests of South East Queensland, to the harsh red landscapes of Western Australia’s Pilbara region. 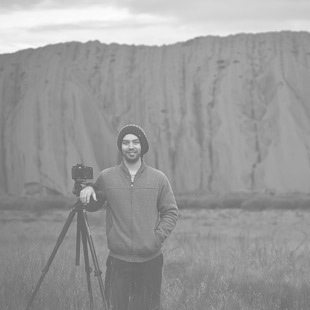 After thousands upon thousands of kilometres travelled and countless hours spent shooting and refining his craft, Beau has sold his work to numerous customers and collectors, been published in various media, and exhibited his work in the USA.